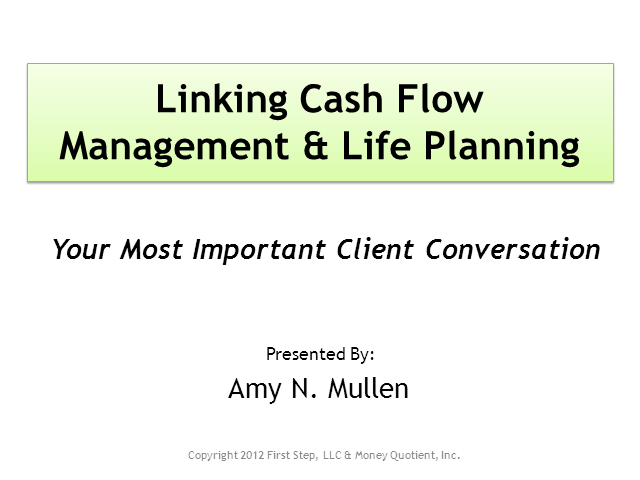 Cash flow management and life planning are processes that provide immeasurable value to financial planning clients. By integrating user-friendly systems that link these two processes, you will engage your clients and empower them to affect positive change in their lives. Help your clients to focus on what is truly most important to them and provide tools that will allow them to survive and thrive in all market conditions.